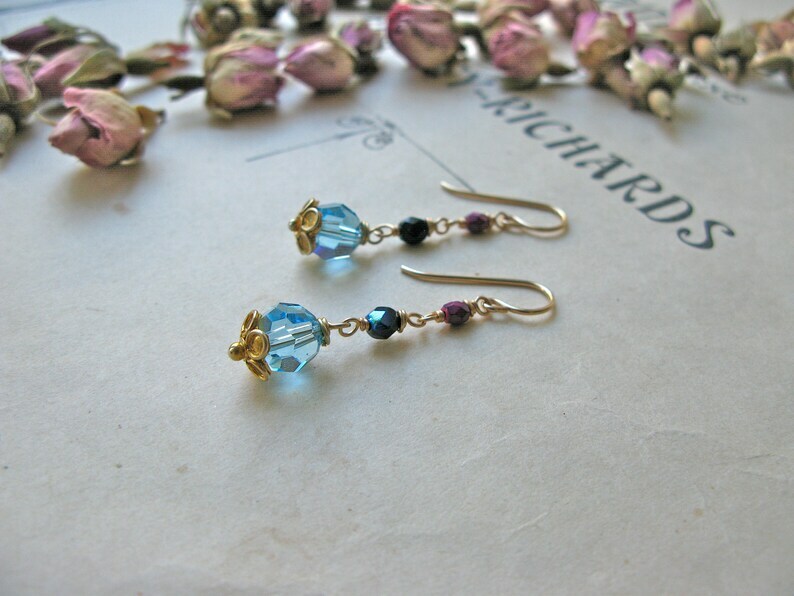 These one of a kind earrings feature swarovski crystals (8mm in diameter) and czech glass beads. Findings gold vermeil and wrapped carefully with gold fill wire. Hooks are also nickel free gold fill. Handmade with love and care in my little studio in Helsinki with handpicked, great quality materials.